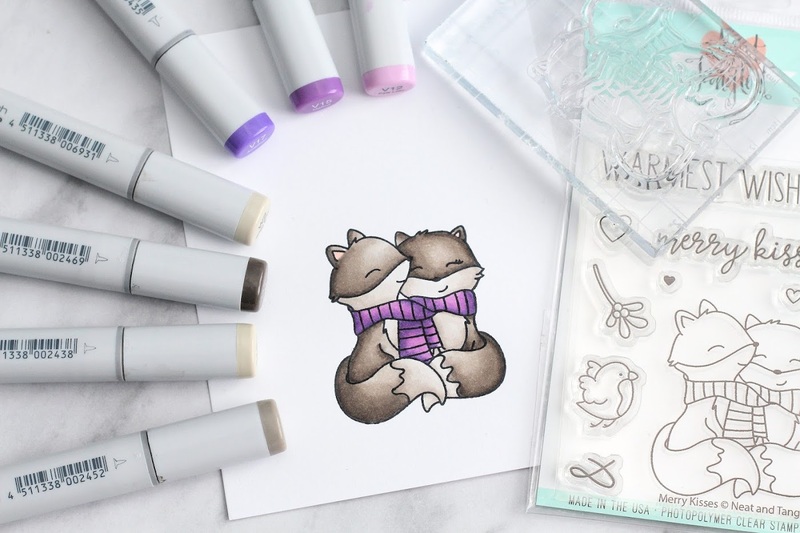 Hello there, today I have a quick video to share of me colouring the adorable foxes from the Neat and Tangled Merry Kisses stamp set. I do have another motive for making the video though, I would really like some feedback from you regarding what videos you would like to see from me in the future. 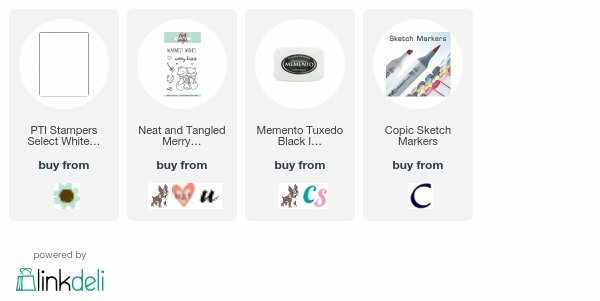 Do you enjoy card making tutorials? haul videos? storage/organisation videos? reviews? colouring videos? I would love to hear your thoughts! COPIC MARKERS: Foxes - W7, W5, W3, W2, W1, W0, R00. Scarf - V17, V15, V12. Any feedback you can give me will be very gratefully received, I know that I cannot please everyone and everyone will have a difference of opinion, but I would like to try! Thanks so much for popping in today, I hope you have a great rest of the day! I love the technique tutorials and organisational videos. All of your posts are amaizing. Hi Michelle, it's so hard to choose because all of your different types of videos are great. I do love your haul videos and I like what Kellie above said about showing samples of what you create from your hauls. That would be great to see more of! While I'm not a fan of haul videos in general, I thoroughly enjoy your Technique and start to finish card making videos. As example, I enjoyed the speed coloring video as I was able to see the Copic colors you chose and the way in which you Blended them. I'd also like you to talk more about how you approach a clean and simple card as I think they are the most difficult cards to make. Seemingly, they are easy as they are simple. The difficulty lies, however, in achieving back simplicity and preserving the white space. I'm sorry to know that you'll be taking a break from crafting in November. Best wishes to you! I do like your haul videos as it helps me see stamps in actual size. I like your organizational/room tour videos and have put some of your ideas into use. I could watch you colour all day long, whatever medium you use as you have mad colouring skills, and your creations are so beautiful. 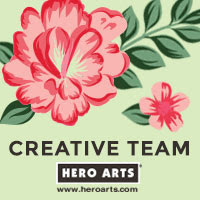 You rock at all things floral and could even make a pesky weed look pretty! I also enjoy tutorials and watching the actual card/project process as there is always something to learn and find tips and tricks to be very useful. I guess, in a nut shell, I love all your videos! Thanks for continuing to share them, I realise they are a bit time consuming to produce, but I enjoy every single one. Thanks for asking as well. I love your videos and I really enjoy any you post. Sorry to hear you will be away for a while. Hoping you have a speedy recovery! All your videos are wonderful, no matter what the theme. My #1 choice: technique videos, especially those involving copic colouring, the new adventure I'm embarking on. Indeed, I've learned something here: you colour from dark to light, which I'm going to try. As for your CAS style: love it! Hope taking time off will resolve you health issues and that we'll see you back soon, healthy and rejuvenated. You post it.......I watch it. Hi there, I love watching your technique and card-making videos, especially from some newer sets that you might have received. Reviews are great too, to help give an objective viewpoint of what's out there. Thanks for listening to your readers! Hi Michelle, I enjoy listening to your videos. I must say I like shorter videos. If they are too long they tend to get skipped. Not saying that yours are ever too long. :) Techniques are nice to see. I hope your month off isn't serious and that things go well for you. See you when you get back. I really enjoy your card making videos. I find coloring, techniques & card ideas the most helpful because I tend to get overwhelmed by all the options on a stamp set & completely block. I also LOVE your organization/craftroom videos, I find them super helpful. I can imagine how much time has to be put in to making a video so I hope you know how much it's appreciated! I hope your time off will help with your medical issue & I look forward to your videos. I’m not a haul person, but I like that you do show samples with the Clearly Besotted release. I watch a lot of different card makers so I don’t mind if people stick to their style. I get my variety through watching multiple people. I think technique videos are useful. I think also using a popular stamp set may get you views or stamp sets that may seem hard to use. Michelle I love all of your videos! I love learning and you are a great teacher! Hope you are healthy and back to yourself soon! Thank you for all you do. 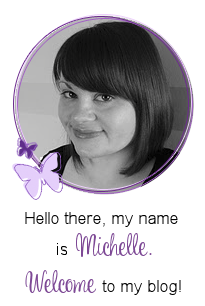 Hi Michelle I really enjoy your crafty storage videos and colouring technques & tutorials. Sorry to hear you have health issues again, here's hoping that you're feeling better after a break. Hi Michelle. I love to watch card making in action, whether it's coloring (I'm learning so never get tired of it), techniques, etc. Maybe share more about your design process in the voice over. I also love to see any mistakes included in videos so I can see how to approach fixing mine. I enjoy all of your video types and appreciate you taking the time to make them. Best wishes for your recovery.